Welcome to the Illinois Center for Cyber Defense Education and Research (the NSA CD Center)! 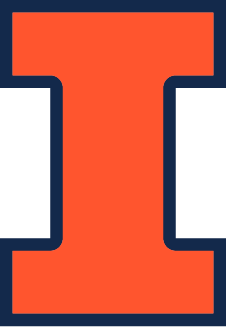 The Center is in the Information Trust Institute (ITI) and coordinates educational activities in information assurance and cyber defense across the campus of the University of Illinois at Urbana-Champaign. Illinois offers a variety of courses, including online courses for the online master's program, and many research opportunities in information assurance and cyber defense to both undergraduate and graduate students. Our courses are matched to the Committee on National Security Systems (CNSS) Training Standards. Overall, our program responds to the national needs detailed in the federal government’s Cybersecurity National Action Plan (CNAP). The Center for Cyber Defense Education and Research has been the driving force behind the effort that resulted in the designation of the University of Illinois at Urbana-Champaign as a Center of Academic Excellence in Information Assurance (Cyber Defense) Education by the National Centers of Academic Excellence Program, an outreach program initially designed and operated by the National Security Agency (NSA) in the spirit of Presidential Decision Directive 63, National Policy on Critical Infrastructure Protection, May 1998. The goal of the program is to reduce vulnerability in our national information infrastructure by promoting higher education in information assurance (IA), and producing a growing number of professionals with IA expertise in various disciplines. The NSA CD Center was also instrumental in the University of Illinois's subsequent designation as a National Center of Academic Excellence in Information Assurance (Cyber Defense) Research (CAE-R) by the NSA. For more information, contact Roy H. Campbell, Director, at rhc@illinois.edu. ITI Seminar Series: a biweekly seminar series featuring trust and security experts from Illinois and other institutions. ITI Distinguished Lecture Series: a series that brings in distinguished experts to speak on topics in trust and security. The Information Trust Institute occasionally brings in external speakers from industry, government, and academia for ITI Special Seminars. Illinois Cyber Security Scholars Seminar: a weekly seminar at which the Cyber Security Scholars can give presentations, prepare for competitions, and listen to guest speakers from within and outside the university on topics related to cyber security and information assurance. The annual International Workshops on Digital Forensics Curriculum Standards (DFCS), 2013-2016. ITI hosted the Midwest Regional Collegiate Cyber Defense Competition regional in Urbana in spring 2006; working with CSSIA, we hosted onsite teams from around the Midwest.